Muscle and Joint Pain Solutions Through Nutrition, Soft Tissue & Brain Balance Strategies. 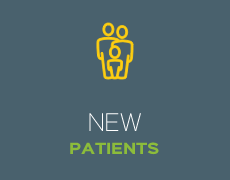 At Chiropractic Plus, we take a noninvasive, drug-free approach to helping patients of all ages experience revitalized health. 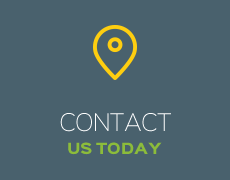 We use an array of techniques and services that get great results. If you desire to live a healthier and happier life, we encourage you to book an appointment today! Introducing our new MLS Cold Laser Therapy ! If you’d like to optimize your health by natural means, Grand Rapids Chiropractor, Dr. Dan Ohlman wants to meet you. “I use my head to think things through, my heart to show I care and my hands in various ways to help patients not only feel better but experience improved health.” His goal at Chiropractic Plus is to get to the root cause of your complaint and address it head-on. 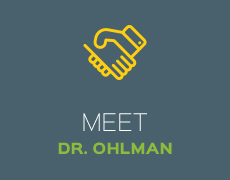 With more than three decades of experience, Dr. Ohlman has the knowledge and skills necessary to get patients on the path to exceptional health. He is highly proficient in a number of chiropractic and other techniques to get the results patients want and need. In addition to his Doctor of Chiropractic, his Master’s in Counseling enhances his listening to people to get a sense of where they’re coming from. While some chiropractic practices focus solely on addressing the body, our practice also looks at the chemical and nutrition so every aspect of a person’s health can be optimized. Because we look at the whole person, they can experience decreased stress, increased energy and peak wellness. 25 years after graduating from chiropractic college, I’m grateful for all of my past experiences. I have grown in my techniques, incorporating emotional work, bringing my counseling background into it and balancing the physical & chemical components to a holistic wellness practice. My appreciation of Body-Mind-Spirit has enhanced my own spiritual, physical, chemical and emotional life. In any healthy relationship, it’s essential that mutual respect is shown. At our practice, there will always be a dialogue with patients, not a monologue. Dr. Ohlman wants you to feel like the practice is a good fit for you and him and that you both feel comfortable. After all, it’s your body, and you want to get it the best care possible. Would you like to experience better health? 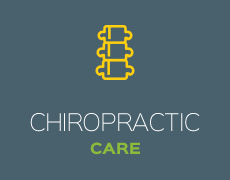 Book an appointment today with Grand Rapids Chiropractor Dr. Ohlman! I am feeling great today and have lots of energy. I would highly recommend Dr. Ohlman to assist anyone who wants to feel better and get to the cause of the problem. I believe in it wholeheartedly. Dr. Dan Ohlman was great and helped me wonderfully! I will be forever grateful! A true demeanor of wanting to assist me in my recovery. In this day in age when you go to any health practitioner, usually there is an air of arrogance and they have one hand on the door nob and their feet in the direction for a quick exit, as to move to their next client. I am late in coming to see Dr. Dan, but better late than never! I feel confident that Dr. Dan has my back.